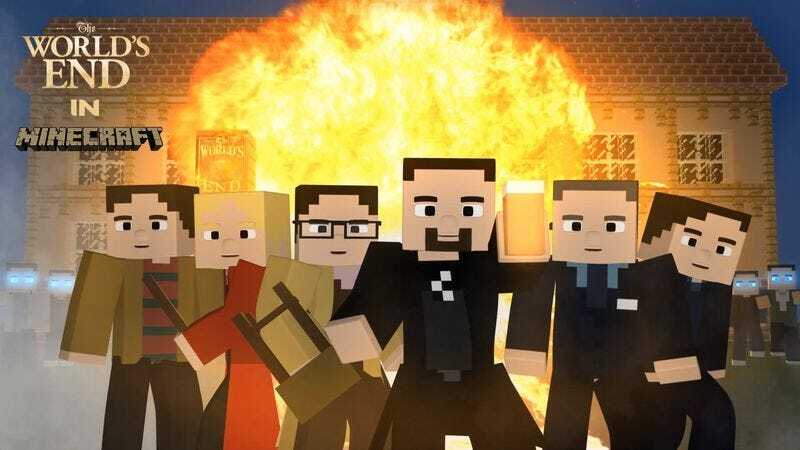 Director Edgar Wright recently tweeted a wholly cool recreation of the toilet fight scene from his film The World’s End in the style of block videogame Minecraft. The fight loses a bit of its physicality in the transition, as the blocky characters slide around each other without friction, but otherwise translates very well. It’s not really made in Minecraft, as the game has, tragically, yet to implement suplex support, but the video uses only Minecraft assets to construct its very detailed recreation. Uploader Movies In Minecraft has also made a couple of other famous scenes from—at this point almost exclusively—Edgar Wright’s Cornetto Trilogy. Those are all available on his YouTube page, for anyone particularly interested in blockheaded Brits.